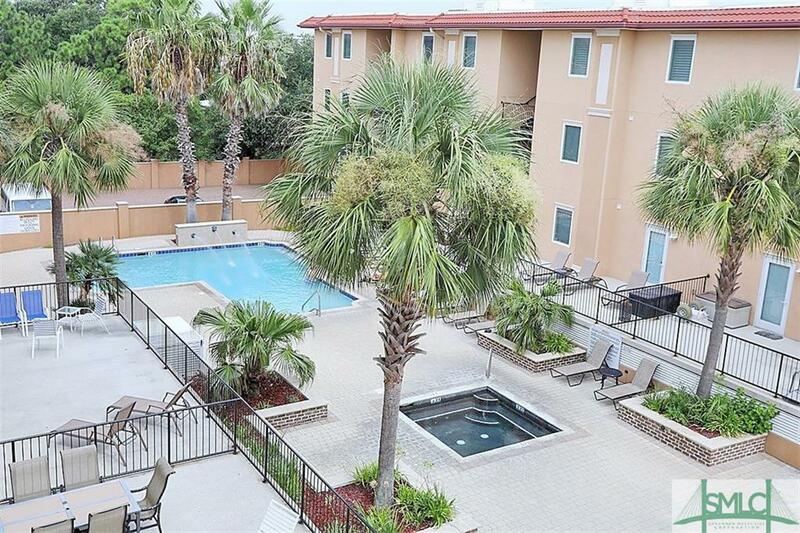 Gorgeous first floor unit, located in desirable Brass Rail Condos---hands-down the nicest condo community on Tybee Island. Tastefully furnished, well-built 3BR/2.5BA in a split bedroom plan. Open kitchen w/granite & stainless appliances. All bedrooms are large to give plenty of room for guests & vacationers. Both living area and master bedroom open up onto covered balcony which overlooks one of the community's two swimming pools. Hot tub too! Very short walk to Tybee Beach, restaurants & shops. Elevator access from the parking garage. Great rental history. Sold Furnished! Listing courtesy of Mary H. Smith of Keller Williams Coastal Area Partners. © 2019 Savannah Multi-List Corporation. All rights reserved.